This weekend just gone, we had a mini-heatwave in London. The sun shone, we ate a lot of ice cream and I turned on the oven just long enough to make this buttery milk loaf and roast a tray of cashews for nut butter. Peanut butter is perennially popular. Almond butter gets a lot of love for its high levels of nutrients. Cashew butter is often overlooked but makes a wonderful change from both. Toasted then ground, cashews adopt a wonderfully rich, roasty flavour, amplified by a pinch of salt. Spread it on bread, stir it into porridge or make a variation of these nut butter cups. Thick, rich and full of toasty flavour, this nut butter is delicious spread on bread or swirled into porridge. Preheat the oven to 180 degrees C. Place the cashews on a baking tray and roast for 10 - 15 minutes until lightly golden. Remove from the oven and leave to cool completely. Blitz the cashews in a blender until a fine powder forms, about 2 minutes. Add the oil and salt and continue to blitz until competely creamy, 5 - 6 minutes. Add the honey, if using, and blitz again to combine. Taste and adjust seasoning. Transfer to a jar and store in the fridge for up to 2 weeks. It’s definitely sweeter and thicker than tahini. Wonderfully creamy and a great alternative to other nut butters. Oh I bet this would be good in cookies, but I know I could eat this by the spoonful. I agree that cashew butter doesn’t get enough attention. The honey and touch of salt probably makes this perfect. That is one terrific-looking piece of toast! I was thinking recently about how I love cashews but never had cashew butter. Thanks for the recipe. We’re having a slight “heat wave” here in Michigan as well– 50 degrees! Every one is in a jolly good mood today. Expect grumpiness to return tomorrow evening when we are predicted to get a fresh 6 inches of snow. Gah! This is such a lovely idea, your cashew butter looks delicious and creamy! On the to do list! 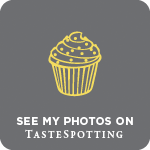 I love cashew nut butter – it’s so rich and creamy and seems so decadent. 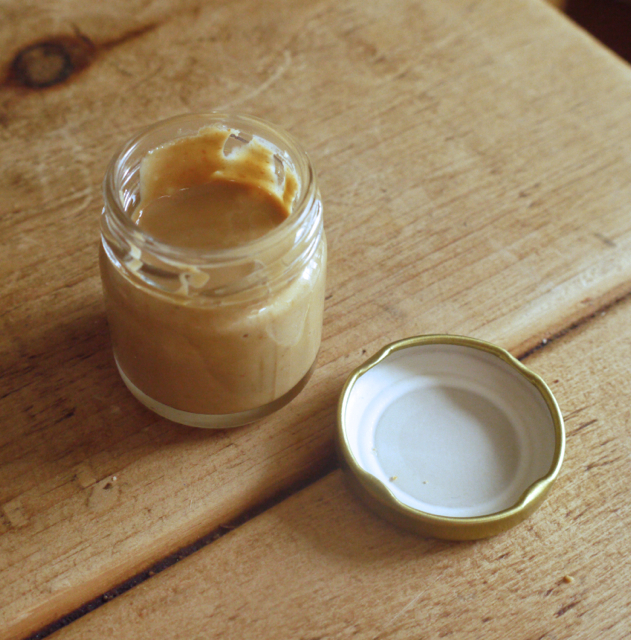 Cashew butter is one of may favourites too, but I’ve never bothered making my own. I’m sure it’s much more delicious (and healthy) than what you can buy in the shops! I bought some cashew butter from Wholefoods and adored it, but I bet homemade is even better! I actually like other nut butters a lot better than peanut butter – walnut butter is my favorite! I love the sound of this! And with honey and a touch of salt? Mm. I’ve never made my own nut butter, but if I’m ever feeling adventurous I’ll have to try this. If you have a good food processor, it’s so simple and so delicious. Walnut and hazelnut butters are also delicious! 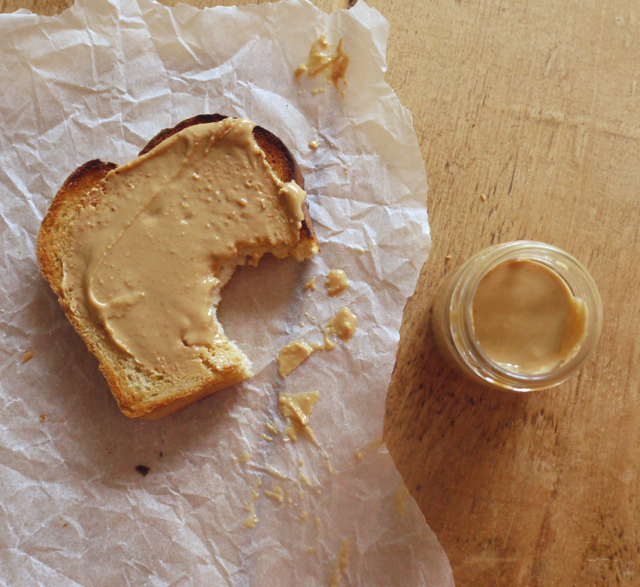 I’ve been wanting to make my own nut butters, cashew with sea salt and honey sounds gorgeous! Love this butter! My daughter lives in London and gets sunburned every time the sun shines! Oooh, I like the idea of nut butter stored into porridge… note taken. I also really love cashews and have never made butter out of it. Now that I have finished the jar of pistachio butter, I will have to give it a try. Since I moved last week I now have access to an actual food processor (!!) so I’m definitely going to have a go at making nut butters. I love cashews and this one sounds super tasty. I can totally vouch for how delicious this stuff is because I just tried it for the first time this week and now I’m addicted! Peanut butter and almond butter gets all the attention but I think cashew butter is fantastic especially the way you’ve made it with a hint of salt and honey. 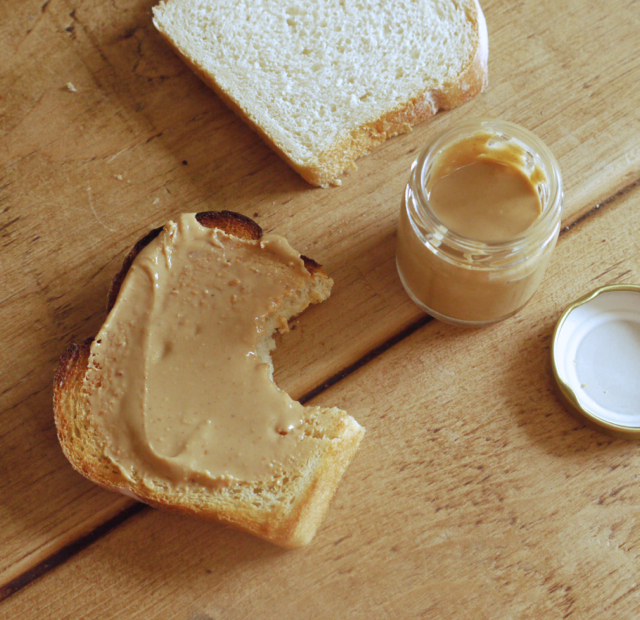 I love how rich and creamy it is – honey and salt are great additions to any nut butter! I’ve never made my own nut butters but this looks so lovely and creamy. I think it would be great in a salad dressing.